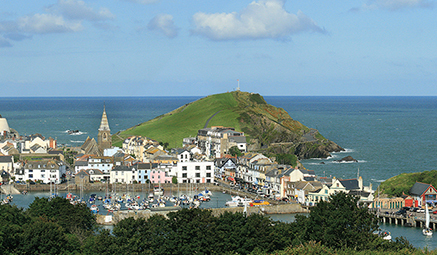 Jewel of North Devon, Ilfracombe offers an exciting blend of stunning coastal scenery, seaside fun, rural tranquillity and centuries of heritage. With easy access to Exmoor and a host of Devon attractions, you’ll be spoilt for choice. Walk the stunning natural harbour, visit the famous Tunnel Beaches, or enjoy a Wildlife Coastal Cruise (at your own expense). A getaway break not to be missed! 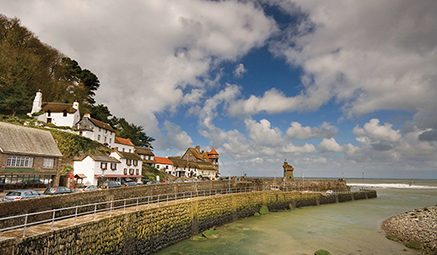 Lynton, Lynmouth & Minehead - Full Day - to these idyllic twin villages combined with a bit of traditional seaside fun. First to Lynton and Lynmouth with chance to visit the Lyn and Exmoor Museum, where you can discover Exmoor life as it used to be in centuries past or the unbelievably cute cottage cinema. Afterwards we’ll continue on to the delightful coastal resort of Minehead, before arriving at the medieval village of Dunster. Barnstaple & Great Torrington - Full Day - a day exploring these North Devon towns. It’s first to Barnstaple, the largest town in North Devon; boasting great museums, characterful boutiques and tasty places to eat. Afterwards we’ll head to Great Torrington, set in a beautifully dramatic spot above the River Torridge. Bideford & Bude - Full Day - spend the day exploring these North Devon towns. Our first stop is the 'Little White Town' of Bideford. With a gorgeous rustic harbour, a fantastic market and quaint little lanes with shops full of treasures. Afterwards we’ll journey to the beautiful bay of Bude, recently voted one of the best beach spots in Britain. There are plenty of beautiful beaches, spectacular views and unique natural attractions to enjoy. 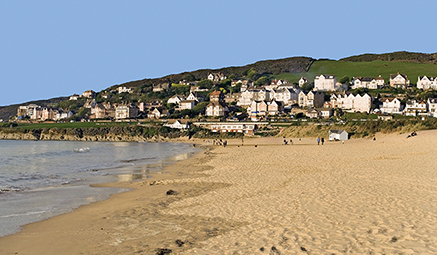 Enjoy the lively village of Woolacombe with its fresh blue waters, golden sands and friendly locals; Woolacombe is the perfect place to enjoy laid back charm. Sample the local pubs and restaurants, with plenty to do away from the sea.